If you see error code E68 on your screen and one light flashes red on your Xbox 360 console, the console may need to be repaired. Read this page to learn more about error code E68 and what you can do about it. If you get this message and error code, the Xbox 360 console has a hardware problem. Unplug all accessories connected to the front or back of the console. Close the hard drive cover before turning the console back on. If the problem persists with the hard drive removed, you will have to get the console repaired. Request a repair. If there is no red light around the power button, reattach your hard drive. 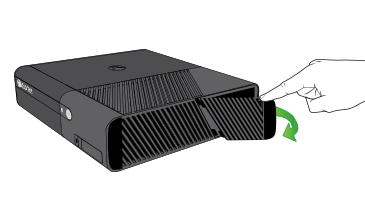 If the problem persists only with the hard drive attached, order a new Xbox 360 Hard Drive from our Xbox Online Service Center (sign in with your Microsoft account). Console registration is required to replace a hard drive under warranty. Unplug all accessories connected to the front or back of the console, including video cables, network cables, and USB devices. On the right side of the console, locate the hard drive cover release close to the back of the console. Reconnect each accessory. Turn on the console (with the hard drive still out). Note Not all Original Xbox 360 consoles include a hard drive. 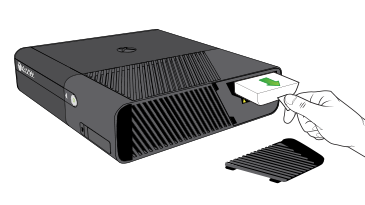 Would you like to contact Support regarding the "Error code E68 occurs and one red light flashes when you use your Xbox 360 console" issue you were reading about or a different issue?